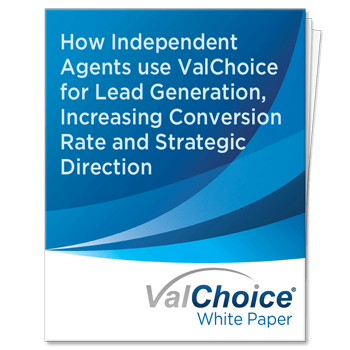 Our Insurance PDFs for insurance agents and brokers provides information on how ValChoice can help you serve consumers most effectively. By sharing the information consumers care about — price, protection and service — agents, brokers and insurance companies build trust with consumers. Download the insurance PDFs below to learn more. Direct-to-consumer competitors, Internet sites, Google and Wal-Mart all want a piece of your business. Read this white paper to learn how to compete in this rapidly changing environment.